Sadly we are seeing more and more stressed out kids, children and teenagers more anxious and depressed than calm and content. Many struggle to fall off or achieve good quality sleep and most struggle to relax and switch off. So Why Is There So Many Anxious, Stressed Out Kids Today? Well there is a variety of reasons but one of the biggest causes is information overload from technology another is toxic overload from our environment, food and substances we take in internally. There is also a major problem with modern day conditioning, where we believe we are more important or are of more value in doing rather than just relaxing and just being. Society as a whole is struggling to be present, struggling to switch off and move from that active, doing state to our more natural state of being. When a baby is born it doesn’t need to try to relax or be calm and content it just is. But with a world based on fear and distraction particularly stimulation overload, the child becomes exposed to more anxiety and stressful environments which trigger off the stress response. This is an inherit problem with sensitive children who are more sensitive to their environment or other’s emotions around them. 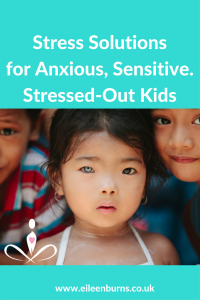 What Can I Do To Nurture A More Calm Kid Than A Stressed Out Kid? Well the first thing you the carer or parent of a sensitive or stressed out, anxious kid can do is manage your own stress. Learn how to live your own life as a more calm confident parent. Kids and teenagers feed off of their parents fear, anxiety and stress. The next important thing is teach your child simple but effective life skills that will help them experience more calm and peace. One of the most powerful yest simple techniques you can teach your child is meditation. Meditation helps a child stay centered, present and calm within them self no matter what is going on around them. Another important strategy is encouraging them to regularly unplug and relax, have time out. So many kids are in a state of doing and I don’t mean just physically, I am talking about mentally and emotionally. Most kids playtime is full of distractions that overload the mind, such as their computer, xbox, their phone or ipad. 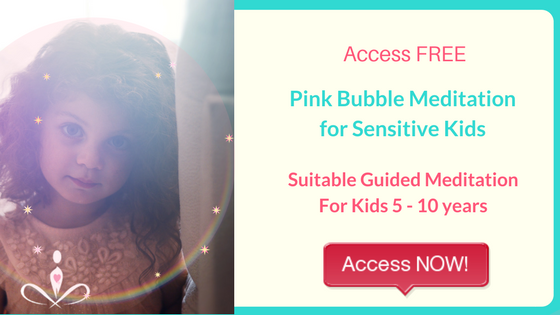 I will be adding a range of self help resources over the next few weeks to this site to support you and support your child become more calm and confident. Meanwhile check out my FREE Resources page for a free meditation for you and a free guided meditation for your child.